How to I create an HTML page? Sakai Community DocumentationSakai 19 User Guide (English) ResourcesHow do I create an HTML page? 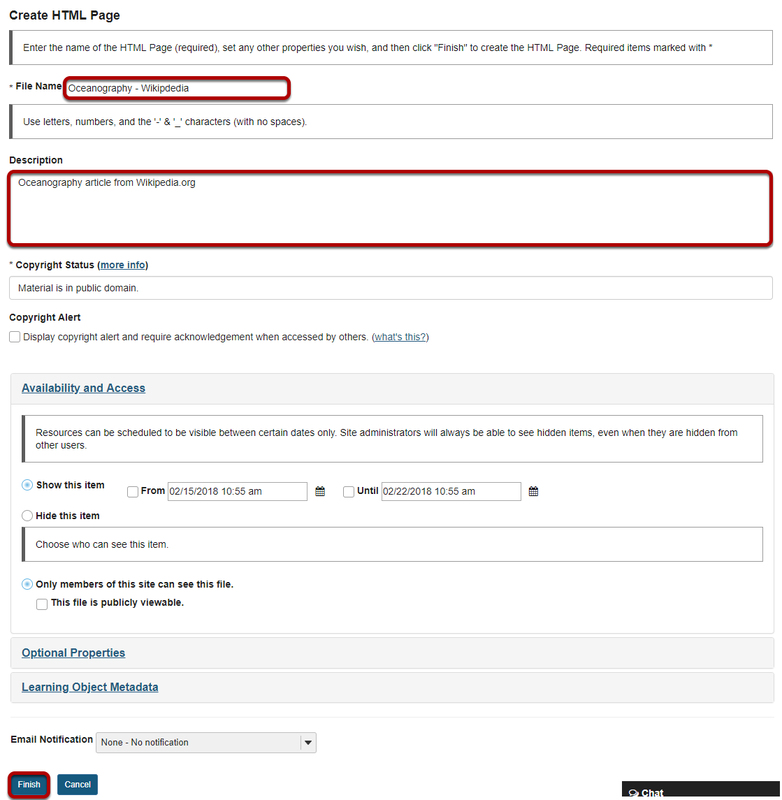 Click Actions, then Create HTML Page. Zoom: Click Actions, then Create HTML Page. To the right of the folder where you want to create the HTML page, from the Actions drop-down menu, select Create HTML Page. 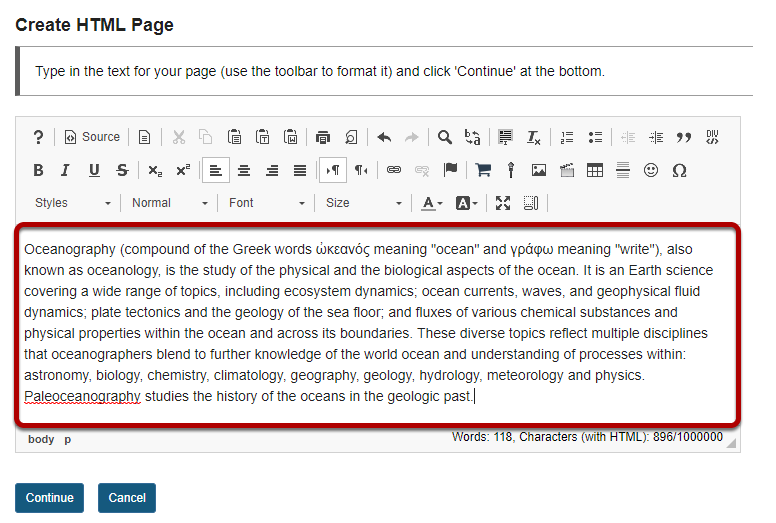 Enter (or paste) the text content of the document into the Rich Text Editor. Use the Rich Text Editor to format or add links and media. 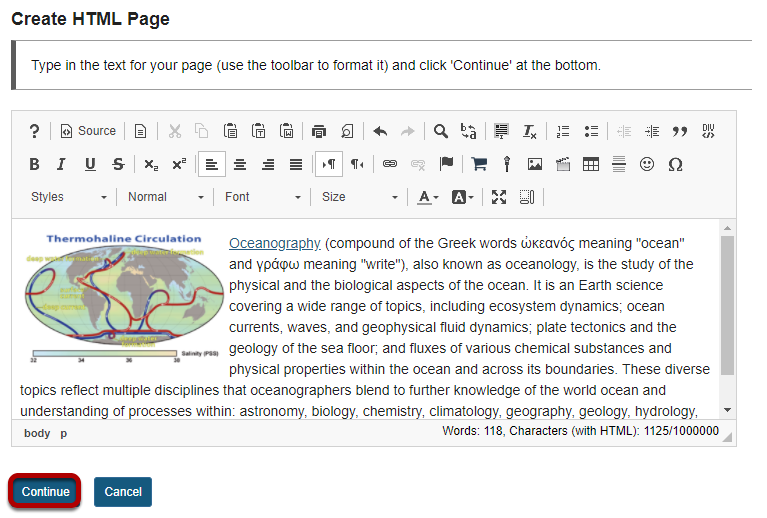 Use the Rich Text Editor tools to format the text, add images, links or other HTML items to the document. Click Continue to save your document when you are finished editing. Enter a display name for the HTML document, and any other information as needed. Click Finish when done. View HTML file in Resources. Zoom: View HTML file in Resources. The HTML page is created and placed in the selected folder. Note: You may click on the blue Information icon to the right of the file to see the item description. Prev: How do I create a text document? Next: How do I create a citation list?